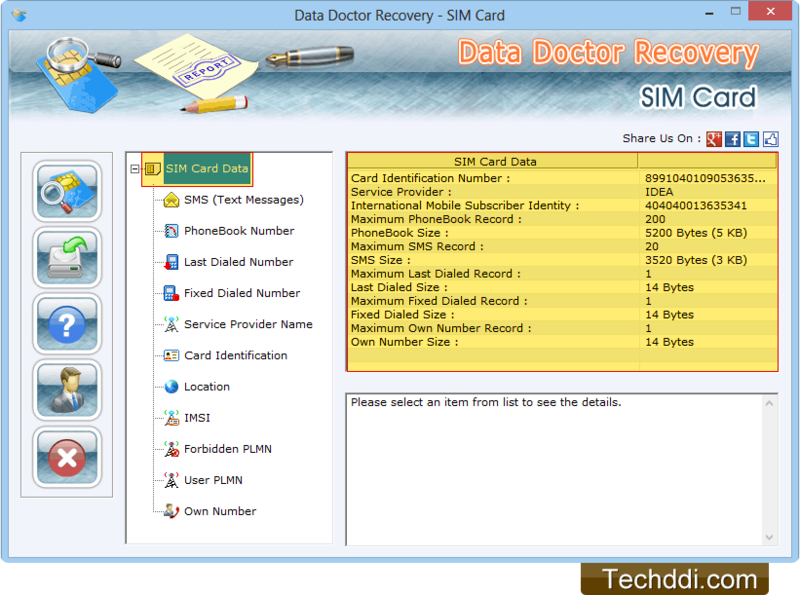 Screenshot showing sim card details including Card identification number, Service Provider and IMSI etc. 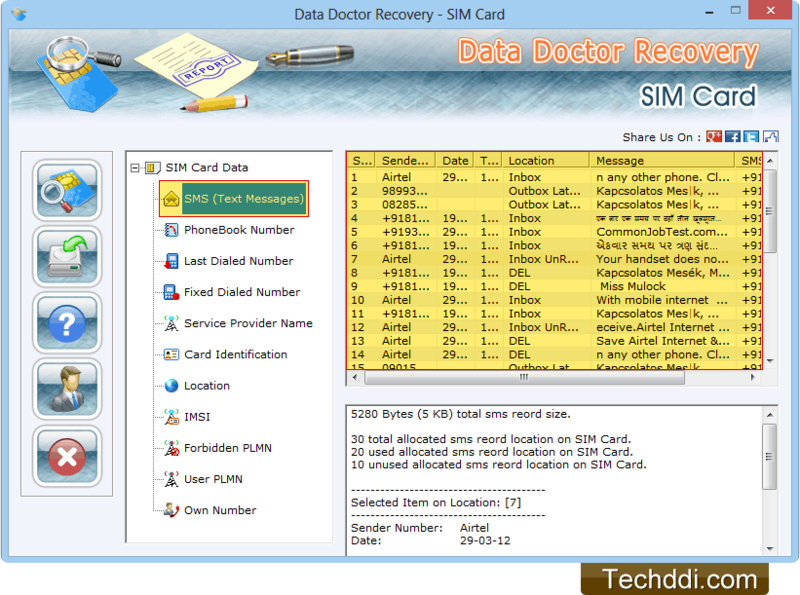 Click on SMS (Text Messages) in left panel to view details of recovered text messages. 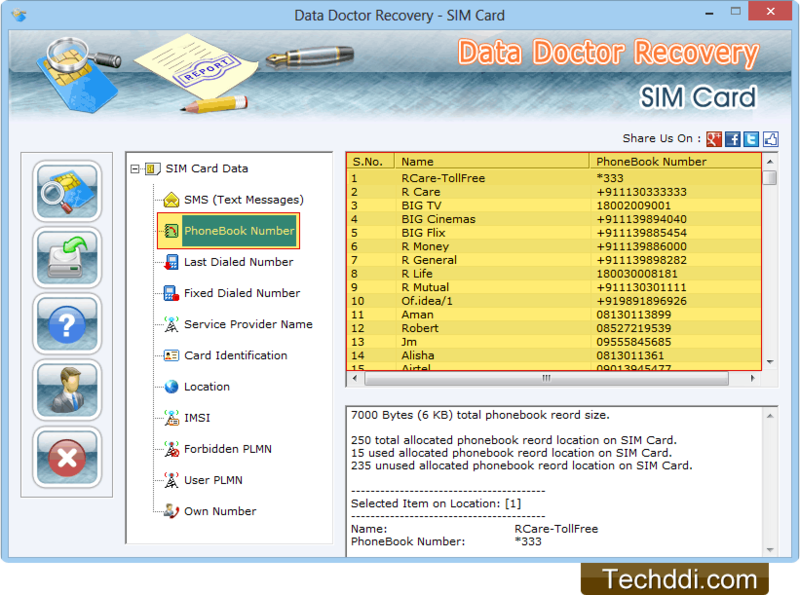 Click on Phonebook number to view recovered phonebook contact numbers.